The price of Bitcoin has broken below $8,000. This is now $11, 139, some 60%, below the all-time high hit late in 2017. “Don’t fall for the trap. Stay bullish. HODL,” said one user on Reddit. 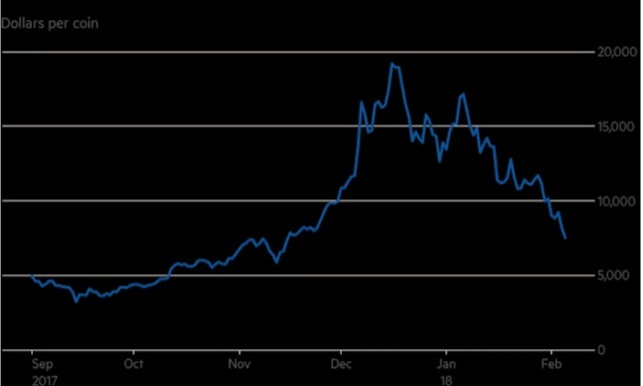 Every time I read about Bitcoin reaching a new low I look at the one year chart and note that 1 year ago a single Bitcoin went for $952 and that it is up 650% over 1 year.